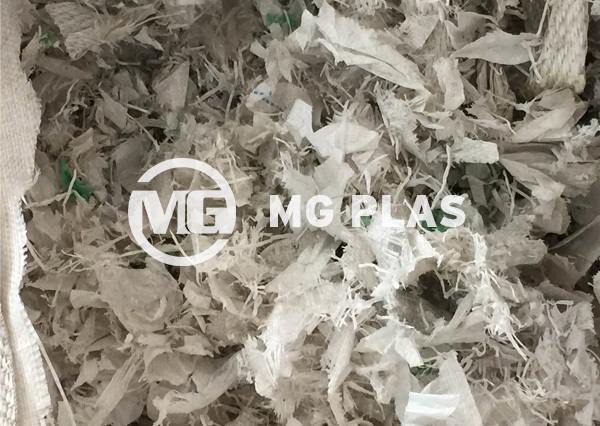 Double-roller shredder of MG Plas are designed and manufactured for recycling wide range of waste materials, for example, plastic, rubber, paper, wood, etc. 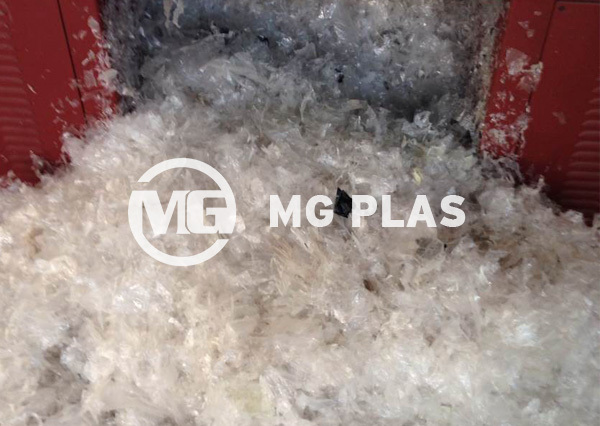 Espeicalaly, it has the higher working efficiency for films and woven bags than the double-shaft shredder. 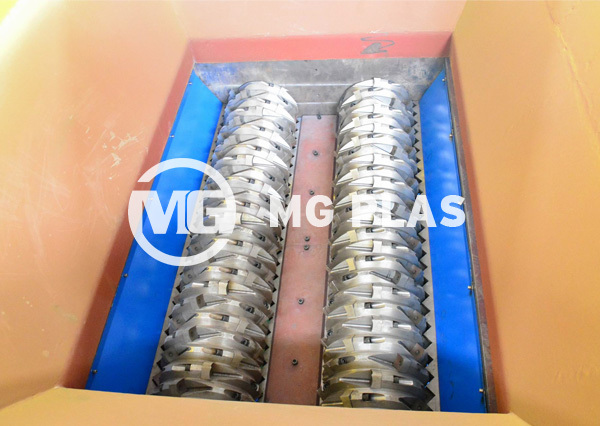 But It is different from the double-shaft shredder because it has the same rotor and blades as single-shaft shredder. 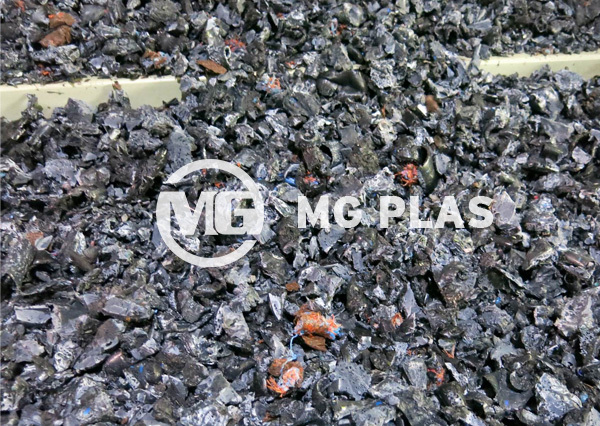 By different requirements such as the input and output size of the material, capacity, etc, MG Plas can work out the best suitable proposal to meet our customer’s request. 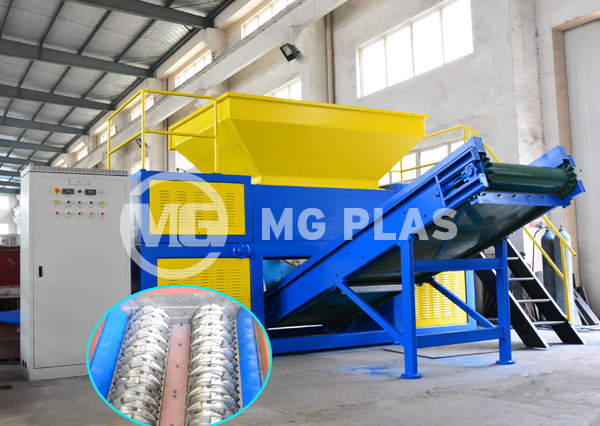 1, Each roller has independent drving system, strong structure. 2, Both rollers are driven by gear reduction box, big torque, run steadily but lower noise. 3, PLC control system, automatic corotation and reversal design ensure the reliable and saft working. 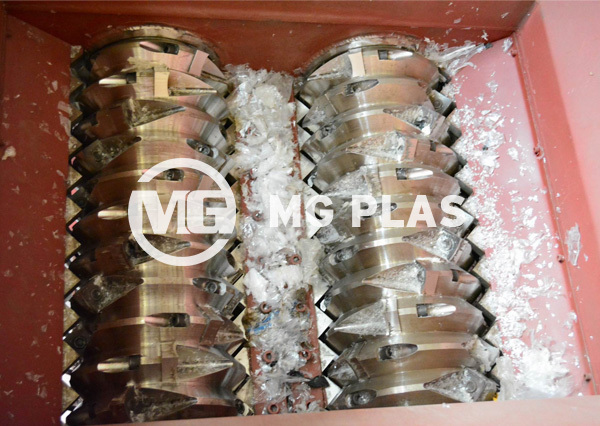 4, Blades material is SKDII, each rotary blade has four edges, each fixed blade has two edges.